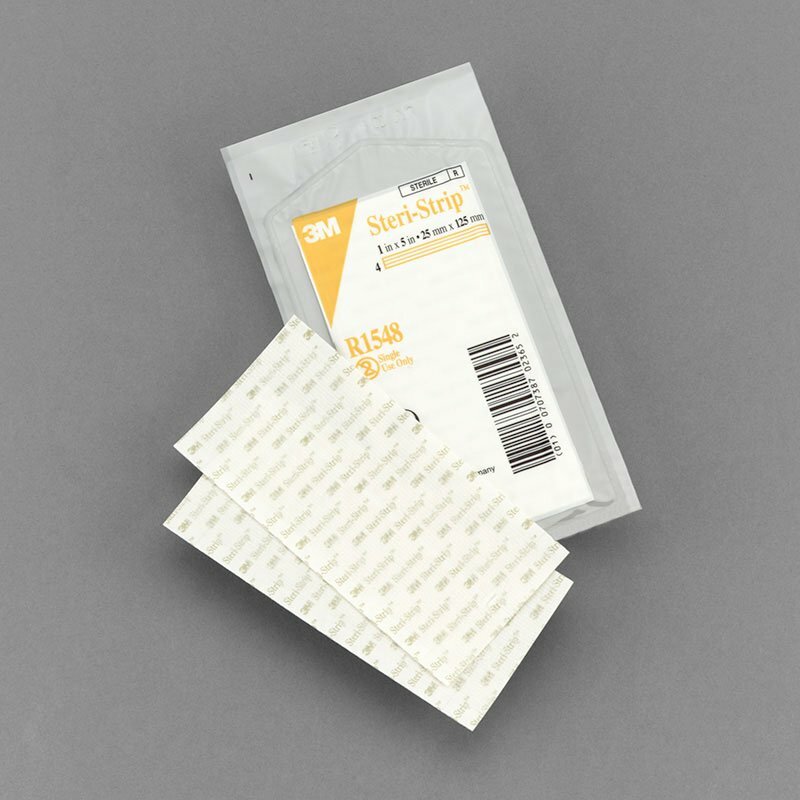 3M Steri- Strips are strips of porous non-woven backing material coated with a pressure-sensitive hypoallergenic adhesive and reinforced with filaments for added strength 0.25in X 4in- Sold By Box 50/Each by 3M is a top quality wound care supply carried by ADW Diabetes. We offer fast shipping and great discounted prices for your wound care products. You are viewing the 3M Steri Strip Adhesive Skin Closure which are strips of porous non-woven backing material coated with a pressure-sensitive hypoallergenic adhesive and reinforced with filaments for added strength. These are 0.25in X 4in - Sold By Box 50/Each by 3M, a leading manufacturer in wound care supplies.